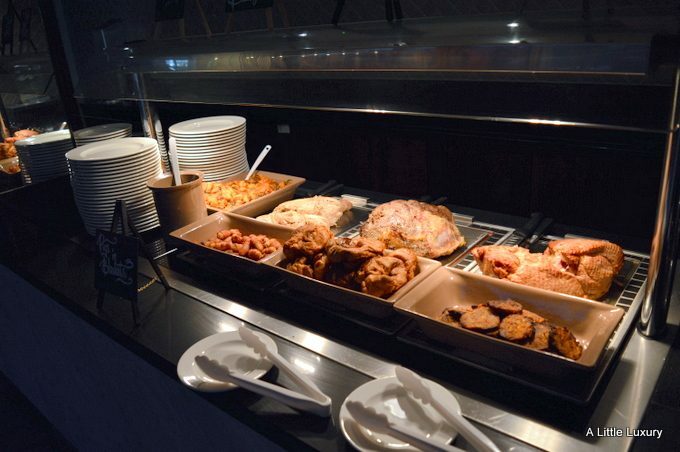 The other week we (me, my parents and my son H) went to the Park Regis, Broad Street, Birmingham (near Five Ways roundabout) to try out their Sunday Carvery offering. 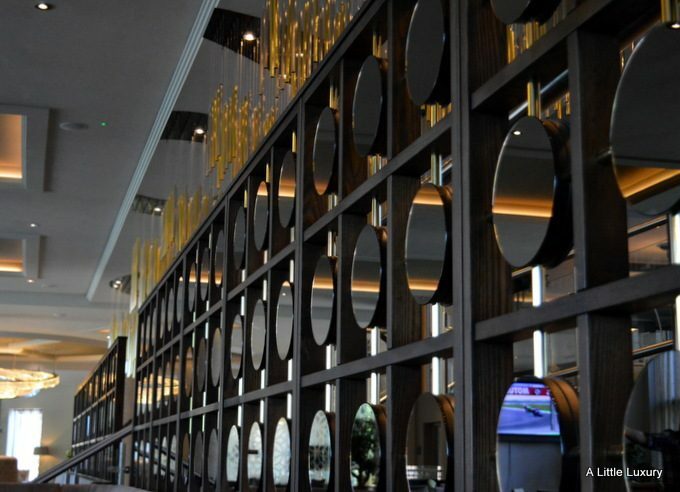 The decor is very plush and you certainly feel like this is a special occasion venue when you step inside. The 1565 Restaurant is upstairs near the bar and there is a balcony with views out over the city. 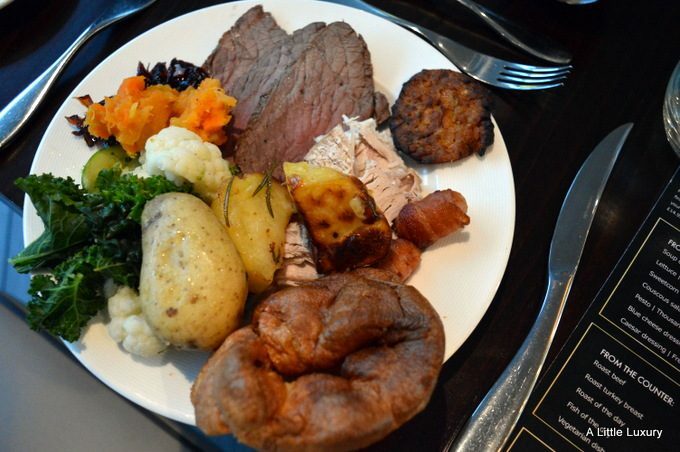 The carvery starts at 1pm and last seating is at 2.30pm and there are three courses available. I love that three courses are included because that seems like much more of a treat than a one course offering and at £14.95 each it seems like a good value option. Most of the starters and desserts are included within the £14.95 price, but a few special items do attract a supplement, but this is clearly stated on the menu. 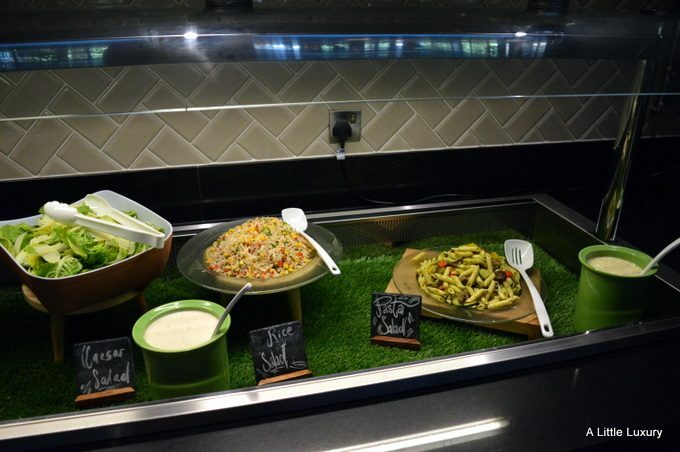 There were a number of freshly prepared and appetizing salads available from a self-service buffet and a soup was also on offer if preferred. 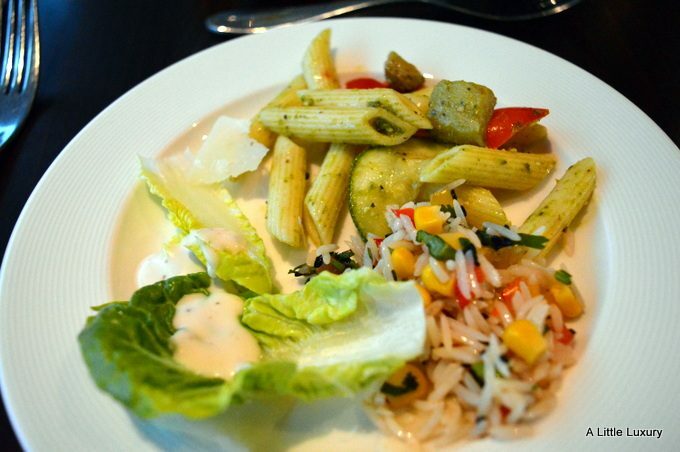 I really enjoyed my selection of salads and you can help yourself to what you want. On the day we visited there were three meats to choose from: roast beef, gammon and turkey. Now I like my beef a little pink, but my Dad’s not so keen, so we did differ in our opinion of the beef. I also had some turkey and that was nicely cooked, without being too dry. There was a good selection of vegetables and the restaurant has taken quite a few measures to keep them warm. They are in lidded containers to keep the heat in. The vegetables were nicely cooked and seemed to please the whole party on that score. I think though that the Yorkshire puddings and the stuffing had been a bit overdone though and they were a bit on the dry side. There’s plenty of gravy available though to help with that and you can serve yourself to that. Whilst we were pretty full after our first two courses, we did venture to try some desserts. 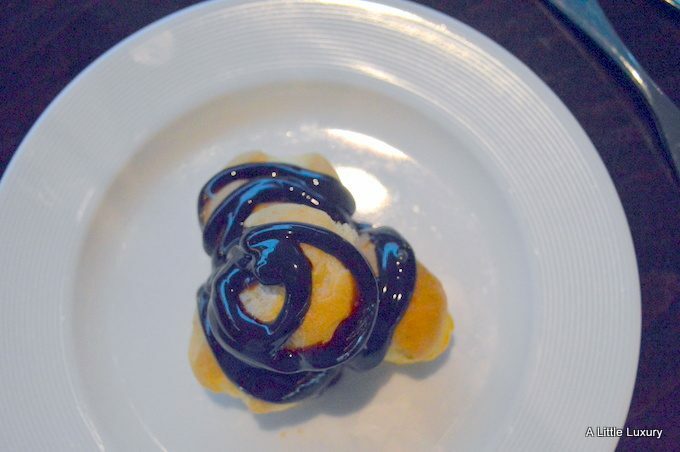 I had the profiteroles and they were lovely. The portion size was quite small, but I think it needed to be after two courses where you were able to help yourself to as much salad or vegetables as you wanted. My parents had the chocolate mousse and they really enjoyed that. 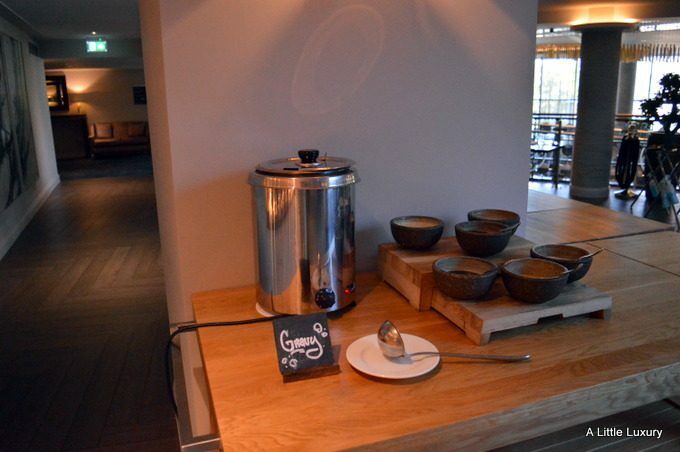 Throughout the meal the staff were really attentive and were ready to help. Looking around the restaurant, there were quite a few families eating there and they were quickly provided with high chairs and the like, so it’s a truly family friendly restaurant. I certainly recommend the carvery if you are looking for a good Sunday carvery which feels like a bit of a treat. Mmm that’s one nice looking sunday roast! Perfect with all the trimmings! I’ll check this place out next time I’m in the city. Elizabeth recently posted..Your Ultimate BBQ Menu Planner with 170+ Recipes!